I been playing now for 4 month, winning player since 3 week. But I really start to hate the AA, even worse is when flop a Set AAA. Take only the last 5 days (had a 2 weeks break before) I win total about 110 $ playing nl5 online, but I lost about 60$ (6 buy in as I play 200 deep) (110 is Total win after this lose and every other lose) on AA. I loosed 9 of 10 times I get AA, I lose to everything, you can basically go all in or play any two card when I have AA. Since start playing, my AA is 20 % win and 80% lost. I also is very much minus when flop Set AAA. All in Pre with AA my win is 1 of 3 (33 %). AA should be +Ev, but for me, no other combo am I losing this much on, not even close. When I get AA I start to feel sick now, as I know, no matter how I play it, if pot goes over 20 bb it probably going to cost me money. I really hate life when I get AA, I win more if I would play 93o than AA. So is someone more has this bad trend with AA. Even if you go all-in preflop AA v. 72o; you still have "only" around 88% equity, meaning you're going to lose AA against the worst trash hand 12% of the time. The point is not to cry-baby on cooler AA v. K2, but to know you put your money in the middle when you were ahead (of V's range) and happy to play for stack. Warington: Most is heads ups, of the last weeks 11 which I lost 10 (pot over 20bb) 10 been heads up. Only one I won was 3 hands all in with 2 medium stackers. Having the same bad trend in Flush draws, should hit 1 of 5 approximate. Counted for fun. I hit 4 on 150 tries (mathematical should be 30 times). Haha it is a bit funny I most say. Red: If I lost 12 % it would be sweet, I not even has this in winning for the last week, and only a bit over that about 20 % for hundreds of times. 1, 10, 50 coolers not matter to me. But when math is totally screwed up (up side down) and you lose at the same numbers, the other guys should lose. It is a bit annoying. I come from Computer science background, read Same Mathematics as is based for poker calculations on the higher side of it. Worked with random numbers, but I never before (in my 50 years of living) has seen anything close to reassemble the variance in Poker. I studied Poker long before started to play. I probably read more then 20 poker books (love poker theory) , most more then one time. So I was very familiar with the variance of poker, but not even with all this, I never expected to see what I seeing when playing poker. Dealing with the variance is the hardest part of poker. Like Alexander Fitzgerald, say in his first book, any one can be a good poker player (some logic math and a lot of dedication and hard work is needed to), But dealing with the mental challenge of Variance is the real frontier of poker. Luckily the cards is only one part of playing poker, otherwise I would have been screwed big time. The math is never screwed up. Calculations often are. But the math never cares about anyone or anything. At those stakes you are going to get callers with junky hands. Part of this is recognizing relative vs. absolute value of AA on a very wet board and learning to lay it down when you are drawing close to dead. Second, as earlier posters said, you should be happy to get it all in preflop with AA knowing you have the best of it every time, regardless of whether you win or lose the actual hand. Third, you're still dealing with a small sample size after 4 months of playing, so recognize that over the long run regression to the mean will smooth out those early negative results. Good luck! You will lose "only" 12% of the time if you play an infinite number of game. As predicted by combinatorics. But as you only play a finite number of game, your actual statistics will not be very close / close to these 12%. You could even lose 1000 time in a row - still possible even if very improbable. That's the point of playing good poker and being focus on the quality of your game instead of your actual result. If you play well, you will win in the long run. That's what you've to analyze: did you play your hand / range well ? If yes, stop whining about coolers. If not, then understand your mistake and adapt your game to play better. When you're focus on studying and quality, you can't lose anymore. This typ of Math (the result we seeing) can still be screwed up in small numbers (Small samples sizes). The truth is only seen in big numbers (big sample sizes). We use the same truth of big numbers(big sample sizes) for a lot of calculating in the modern society. That is why we can like Demetrios point out, not find the truth in small samples, only big samples sizes to see the real truth. 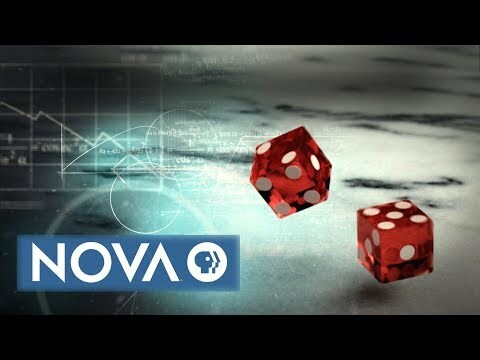 Nova did a a very good Documentary on just this subject "Prediction by the Numbers"
But this is also the the hard bit, our brain is wired to act on the result we see and change our behavior to what we experience. This is why we react to the variance in Poker, even if we know theoretical the truth is something else. This is against our normal ways to see and react in the world. Our brain is hardwired for a reason to react like we do, this is the evolutionary reason to we survived as a spices. With poker we need to rewire all this "the cause and effect" and not easy, even if in Theory we know what is truth. Playing poker is like you have to deal with cognitive dissonance every day. Our Experience vs Theoretical truth. Red: If you say you never reacted to bad variance, I not believe you! Your brain is not made that way! If you already would be a practitioner of mindfulness and Meditation before you started with poker, I have to change my opinion that you may have rewired you brain already before poker so you not will react on the variance. But if you have not. No chance at all you never reacted to bad variance, you would be superman to not have. But the thing is with this math is, even if I play 1 million AA, it is not sure it will level out to the point of +- 0 Variance. It will get closer, but I can still be -variance and another guy still be +variance. Putting together 1 million persons 1 millions AA we getting even closer to 0, but in that group still some will be variance winner and some variance loser. So good luck and bad luck exist even if it is smaller as the sample size grow. My aim - and so should be yours as well - is to play well, to play +EV. If we well but get coolered, then so be it. Some other time we will inflict the cooler. These situation happen both way; and you can't get money out of cooler (except in some very specific situations). What is important is to play our hand/range well. If you play +EV, then you will in the long run. You shall not mind coolers; they will come at your for their toll - just be ready to pay it. Out of that, I still can be frustrated. Like lately, facing a monster spewy monkey; he called a 3bet or 4bet preflop shove with 42o (lol) and still winning like that twice in 3 hands against my KK and AK... FML. - 12 00 bb/100 hands on AA preflop all in. Guess I must be a cry baby for complaining. I lose about120 bb per hand I playing all in AA (5x 200bb 4 loses per 1 win gives -120 bb/per times played), . About - 70bb per hand when play It regular. Last month total win % AA on holecard 12 %, Last days 7%. It not matter if play it all in, fast or slow, same thing happen I lose now 80% since start playing 120 000 hands and it only gets worse. Last 3 days 16 hours playing. Played 14 AA more then 25bb, both all in and normal play. Lost 10 to set/trips, 3 to flushes and win 1. Not so I complaining for a bad beat or two but this getting sick. I can say I not good engufh to win in total when having 7% win on AA. I can comp well with a 40 % win (still half of what it should be) and still make money. But this takes big chunks of my winning. And I run 1/10 hit my flushed, no problem I can win that anyway. AAA and KKK sets still -ev. Still not a problem, but when I on top off that goes 7% (20 in total)win in situation I should go 80% win then it makes it really hard to stay consistent winner. Question is how many can win total when going this bad? It does not matter how much I study and focus on my game, this I can not change what ever I do. I put about 4 hours study every day, 6 hours playing, 7 days a week. . But not matter how good my A, B or C games get, it can not change this. This is only bad luck nothing else and nothing to be done about it, than hope it changes one day, but so far not one single week on AA gone +ev. If someone can enlighten me on how to develop steal feelings and steal brain and become hard as rock and not get affected of this in any way. Please share, I need to know.